C2 Composites maintains registration to AS9100 Rev. C and ISO9001:2008. 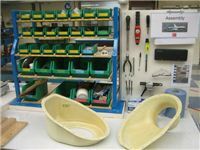 Quality Control and Inspection plans are created specific to each product to provide the most efficient methods of preventing customer escapes and monitoring critical product characteristics. In process Certified Operator inspections are a key preventative measure used by C2 to minimize product waste and ensure early detection of process issues. 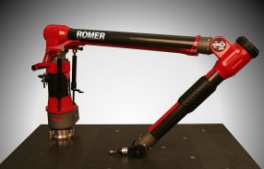 Advanced inspection equipment is available onsite for verification of product directly to 3D CAD models. 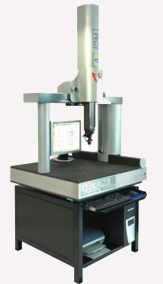 C2 has both stationary CMM and Portable CMM equipment available for inspection and verification. Lean Manufacturing is used extensively by C2 to maximize operational efficiency and allow products to be provided at affordable prices. All employees receive training in Lean Manufacturing principles as a basic foundation for continuous improvement. C2 embraces the concept and methodology of 5S (Sort, Simplify, Sweep, Standardise & Self discipline). This is a process and method for creating and maintaining an organised, clean, high-performance workplace, and is the foundation for lean production and continuous improvement.